WHAT: Planning a wedding? Looking to add to your collection of vintage books and prop-worthy knick knacks? Get Hitched, Give Hope is the event for you. 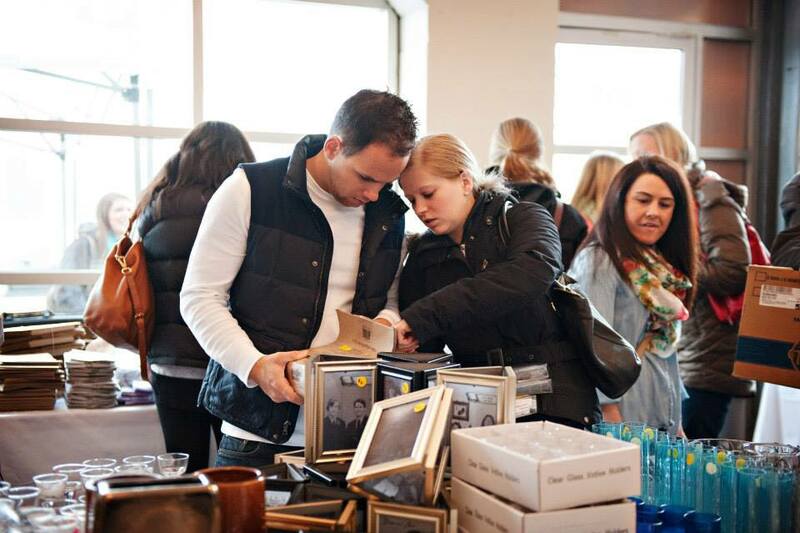 Now in its second year, Hope Chest offers up gently-used wedding goods—everything from gowns and accessories to signage and centerpieces—at garage-sale prices in support of the Dream Foundation and Young Survival Coalition charities. And for you newlyweds, take this chance to contribute to a good cause and clear up some space. Contact donate@gethitchedgivehope.com to donate any of your used wedding wares. WHEN: The sale takes place on Sunday, March, 22. Ticket prices vary upon arrival time. Want to be one of the first hunter-gatherers? VIP tickets for a 10:30 arrival cost $25 and include coffee, champagne, and light bites. Tickets for an 11:30 entrance cost $10, and tickets for 12:30 cost $5. Admission is free for the final hour, beginning at 1:30, when all remaining items will be 50 percent off. Purchase advanced tickets via Eventbrite now.